Standard MiniPouches are defined as small flat bags under 6”, which are closed on 3 sides. This is achieved in two forms: the first is a 3-side seal pouch, with an open end; the other is a fold-over bottom pouch, which is sealed on two sides, and has an open end. MiniPouches are used to package a wide range of products including diagnostic test strips, small medical devices, electronics, food items and cosmetics. IMPAK is known for producing pouches in sizes and materials that other suppliers are unable or unwilling to produce, in quantities lower than industry standard. Speak to our team to discuss custom options. Whether you need printed or unprinted MiniPouches, we can supply pouches to your specific dimensions. 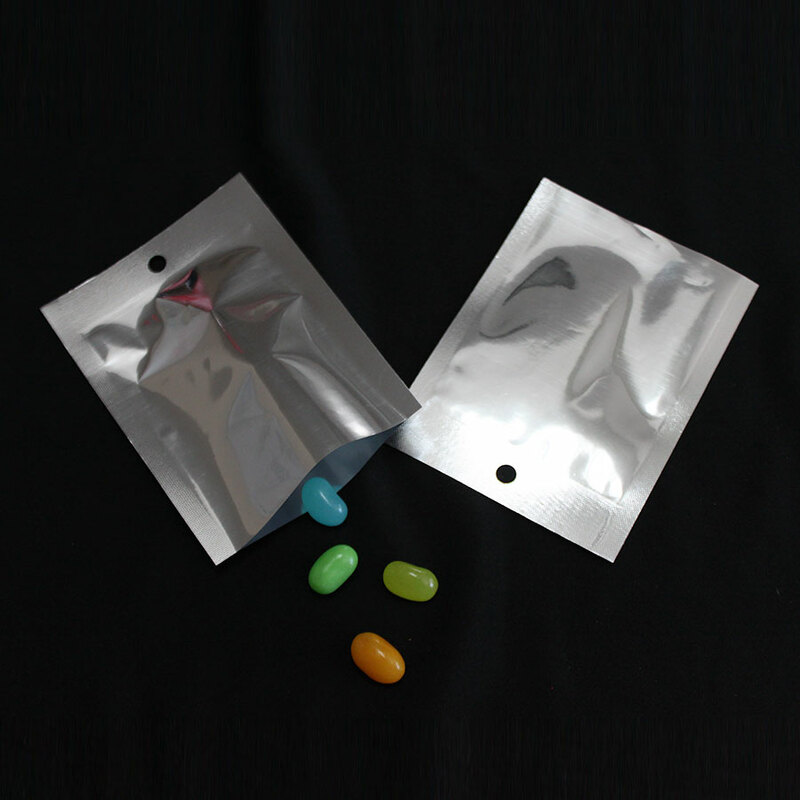 IMPAK is known for producing some of the smallest pouches on the market. We also offer a wide range of print capabilities including matte/gloss finishes, frosted films, and much more. 1,000/case Silver 2.5mils PAKVF2.5M 100-400 bags - $0.202 /ea. 500-900 bags - $0.179 /ea. 1000 - 4000 bags - $0.112 /ea. The three-side seal pouch is by far the most popular form of packaging due to its simplicity and virtually limitless number of applications. These bags come in many sizes and colors and can be used for the safe packaging of practically any type of product. *IMPAK also produces laboratory-grade bags of this type with write-on capability, as well as custom print pouches. Fold over pouches offer slightly more filling volume in the same outer-dimension bag. The three closed sides are achieved by a folded side, and two sealed sides.